Robert’s passion for boating started at the age of nine when he was old enough to contribute in commercial fishing, the family business in Prince William Sound, Alaska. He utilizes his knowledge and love for boating and his passion for assisting people to excel at serving his clients. 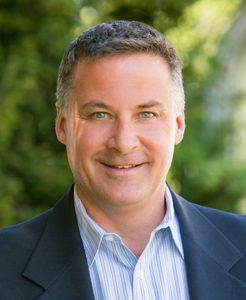 Robert is a member and past board member of the Northwest Yacht Broker Association and also a Certified Professional Yacht Broker. Robert lives in Seattle with his loving wife, Katje and 16 year old son, Robert Michael who share his love of the water and boating. Scott loves boating and the lifestyle of being on the water. He got involved in the marine industry at an early age helping a family friend with a marina business in Illinois. Over the years he's owned several types of boats and developed a passion for deep sea fishing. With 20 years in the marine industry, Scott has an extensive network and maintains his knowledge and connections in the marine industry through ongoing professional training and research. Scott’s professional affiliations include the Northwest Yacht Brokers Association, Certified Professional Yacht Brokers Association, and Florida Yacht Brokers Association. 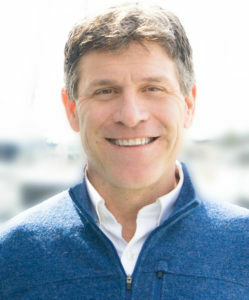 Scott joined Hampton Yacht Group in November 2011 after nine years with Olympic Boat Center, two years as head of his own brokerage firm, Sea Trader, and three years with Westport Yachts. He is well known for his “matchmaking” ability of finding the right boats for his clients. Scott believes that respect and patience lead to long-term client relationships which are at the core of his success and holds these in the highest regard. Scott and his wife, Jodie, enjoy their associate membership with the Roche Harbor Yacht Club and participate in scheduled events around Puget Sound. With Scott as your Yacht Consultant you will appreciate and enjoy his genuine interest, personal attention in every detail, world-class professionalism and integrity. J.R. has been boating since he was a small child and has an inherent love and appreciation for the water. 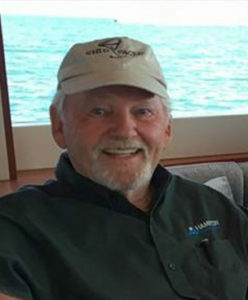 He has logged close to 1000 hours on his current vessel, a 2007 Meridian MotorYacht, and has helped with deliveries to Alaska and often spends his free time training clients and boaters on how to safely operate and manage their boats. Boating is a family activity for J.R. with his youngest on his way to become a deck officer with unlimited license from Cal-Maritime college. His daughter also loves crabbing and spending time with her Dad on the boat. Both of his kids just love being on the water in a dinghy, rowing shell, ski boat or sail & motor yacht. He is also a member of the Rainier Yacht Club and loves fishing and the outdoors. 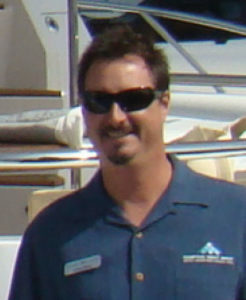 J.R. has been professionally selling boats since 1991, shortly after graduation from the Ohio State University with a Bachelor's in Hospitality Management. He has had the opportunity to learn about the manufacturing process from boat building factories all over the world and has factory training with: Hampton, Endurance, Maritimo, Viking, Viking sport Cruisers, Tiara Yachts as well as Meridian Yachts. He has trained with engine manufacturers such as Caterpillar, Cummins/Mercruiser, Volvo and Crusader. J.R.'s repeat customers choose to work with him because of his integrity and his 'can-do' attitude. Ben started in the boat business in 2002 but his roots in boating starting much earlier at the age of 6 when his family would charter boats in the San Juans Islands. Through the years, his family owned a few boats and now Ben and his folks are partners on a 42 Sea Ray Sundancer that they moor on Lake Union. 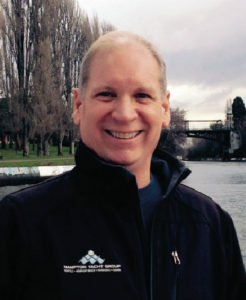 Ben is CPYB certified, a involved member of Seattle Yacht Club and NYBA (Northwest Yacht Brokers Association). Ben loves to go cruising with his wife, Heidi, and kids, Ethan & Lucy, and usually involves meeting up with his friends he has sold boats to throughout the years. Pete has been in the yachting industry for 32 years, with 28 of those years being a private yacht captain traveling from Alaska to Mexico, including some time on the East Coast as well. 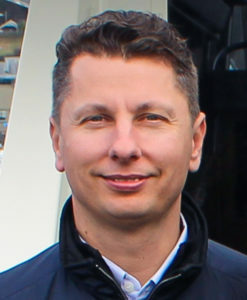 With Citadel Yachts, Pete had wide ranging responsibilities from Engineer, Captain, Quality control supervisor to VP of Sales which gives him a deep understanding of the ins and outs of the yachting world. His background helps him provide his clients a superior service and he is able to anticipate their needs due to his many years on the water. 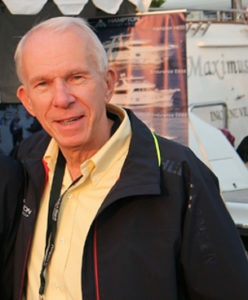 Pete brings a wealth of expertise to the Hampton Yacht Group with his many years of hands on experience. Pete is extremely professional and brings a lot of fun to the office. When Pete is not in the office working as a professional yacht consultant you will find him out on his boat relaxing, fishing, hiking, skiing, restoring old cars, or just meeting new people on the dock. Geo has been in the marine industry for nearly 30 years. He prides himself on his ability to not only listen to his customers’ needs but work hard to go above and beyond in accomplishing their goals. He is an excellent choice with his extensive knowledge in commissioning, warranty, repair and overseas building. Geo’s goal is to make the buying and selling experience confident and fun while sharing and utilizing years of experience and knowledge. He is personable and friendly and pledges to work diligently to represent his clients’ best interests. Jenny Lee Zierman was born and raised in China. Before leaving China in 1997, Jenny had worked for five years at a Real Estate Development Company, Jenny then worked for several years in the banking industry before joining Hampton Yacht Group. She has been with the company as its office manager since September 2011. She speaks Mandarin, Cantonese and English. In the past few years, Jenny Lee has added to her responsibilities and now organizes the company’s annual rendezvous and daily bookkeeping duty. Jenny enjoys traveling, cooking and spending time with her husband and two children. 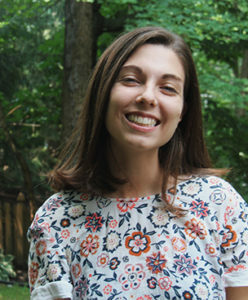 Kelsey is a recent graduate from Bucknell University and east coast transplant to Seattle. She has a degree in marketing and experience in graphic design from working on numerous publications, including a campus magazine that she co-founded. Most of her free time is spent outdoors, both on land and on the water, as she enjoys hiking and kayaking. Now she’s excited to be helping with Hampton Yacht Group’s marketing efforts including web design, advertising, digital campaigns, and social media. PARTNER & HAMPTON FACTORY REP.
Larry started boating at a young age in the waters of Barnegat Bay, New Jersey and his love of the water has flourished ever since. He has been in the boat business professionally since 1979. He started out in the service side of the marine industry with an extensive background in fiberglass repair and construction and specialized in ship’s systems. Fast forward to 2003 when Larry started working with the Hampton Yard as a factory rep overseeing the construction of new builds and product development. 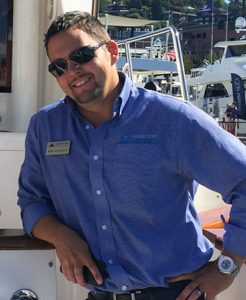 His role in the service side of the boat business has taken him from the East Coast to Alaska, Seattle and now back to the East Coast where his position has grown to be a Managing Partner of Hampton Yacht Group and Operations Manager for Hampton Yacht Group of Florida running the sales and service side of the Florida dealership. 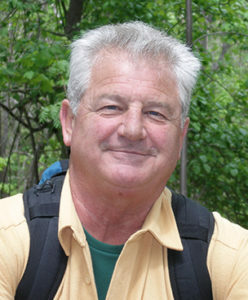 Larry loves the outdoors and is an avid fisherman. When he isn’t working you will find him offshore spending time on the water in his own personal boat. Ed has been on the water, boating, sailing and fishing since he was three. He grew up in Connecticut cruising summers on Long Island Sound, Block Island and the Vineyard Sounds and knows these waters intimately. 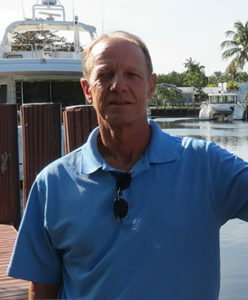 Ed moved to South Florida in 1977 and earned his Bachelor of Science degree, graduating in 1979, earned his Captain’s License from the USCG the same year and became a full time yacht broker in 1980. 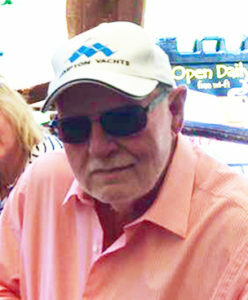 During his career as a marketer of yachts, Ed has enjoyed long-standing, profitable business relationships with the largest and most respected names in the new yacht sales and brokerage yacht sales industries, including Merrill Stevens Dry Dock Co., Bradford Marine, Westship, Westport and West-Bay SonShip Yacht Sales. 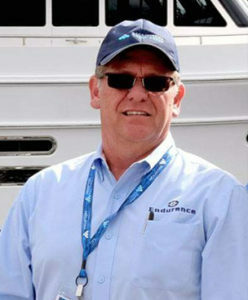 His knowledge of the sea, cruising grounds of the Pacific NW, Caribbean, Bahamas and New England and his years of experience in the competitive South Florida yacht business enable him to honestly council clients to avoid potential pitfalls and succeed in accomplishing the client’s goals and cruising and yachting objectives. Over the years Louis has developed a clientele and market niche in the 60’ – 120’ motor yacht range in both new and used boats. “At the end of the day you really can’t sell someone a yacht, but if you’re a motivated buyer I can certainly use my experience and market knowledge to help you find the right boat,” said Louis. Louis has lived in Lauderdale-by-the-Sea with his wife and son for almost 20 years and enjoys both his career and the short commute down the beach each day to the Hampton office at the Quay on 17th Street. Monty has been in the yacht sales and service business since 2001. He has helped many customers find the boat of their dreams; from specing a new boat from the factory to selling brokerage boats; Monty has gained a vast amount of product knowledge on many different types of yachts. Monty is especially well versed in the Hampton and Endurance lines as he has been directly involved with since their introduction to the East Coast of the US in 2003. Monty’s ability to communicate effectively with clients and understanding their needs has resulted in very satisfied clients over the years. Monty grew up in the Midwest and has always been in the service business. Providing exceptional customer service is Monty’s strong suit. Whether buying or selling your boat, Monty will take the time to listen and create the best possible opportunity for his clients. Skip was born and raised in Michigan and got his nickname “Skip”, short for skipper, from spending all his summers at the lake house and enjoying the family boats. After a tour in the Navy, he was invited to help bring a boat from Michigan to the Bahamas. 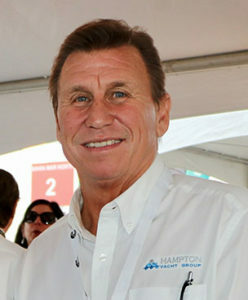 It was after that amazing trip, he moved to Florida in 1972, got married and began his journey in the marine industry. He served as sales manager for 9 years for a local engine and generator company, started his own company in 1981. After hurricane Andrew, he was recruited by a local boat yard as service/sales manager to help clear the mass of damaged boats from the storm. During that time, he joined the Marine Industry Association of South Florida and served on the Board of Directors for 6 years. After the marina sold, he joined Cable Marine as General Manager for one of their support companies. 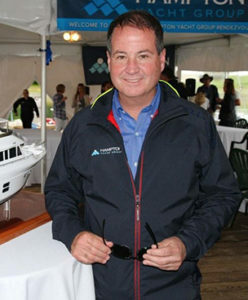 In 2003, he got into yacht brokerage and new boat sales for Grand Alaskan and in 2010 moved on to Hampton Yachts. After 45+ years of experience in all aspects of the marine industry, Skip truly loves what he does and is dedicated to helping people fulfill their dreams of the boating lifestyle and finding the perfect boat to meet their needs. 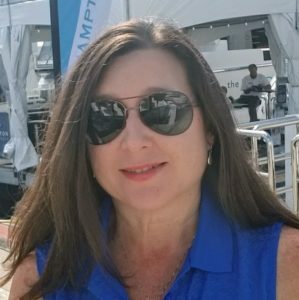 Laura has been representing Hampton and Endurance Yachts for the last 11 years and has been a part of the marine industry for 35 years. 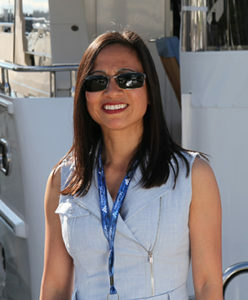 A true Florida native, she was born and raised in Miami and grew up boating in Biscayne Bay and the surrounding waters. Laura spent 20 years of her career growing Bassett Boat Company of Florida into MarineMax, the #1 Sea Ray dealer in the world. Mentors like Richard Bassett and Bill McGill taught her many fundamentals of the boat business with the most important being "100% customer service...EVERY customer...EVERY time". This hands on experience and knowledge makes Laura more than qualified to assist clients buying the yacht of their dreams. Laura has been married to her husband Todd for 32 years. Together they enjoy outdoor activities like boating, camping, kayaking and bike riding.